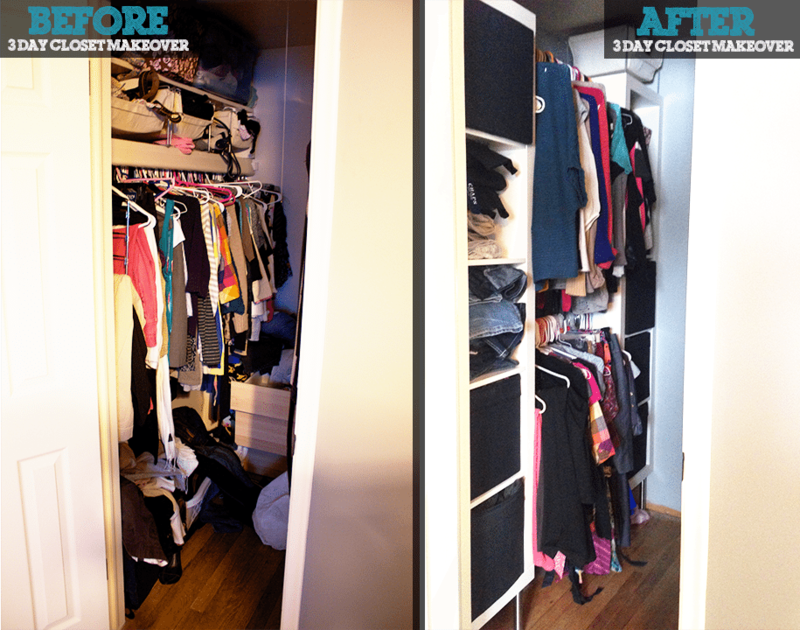 So over the course of 2 days we tore apart the closet, patched the holes, primed, painted, and… waited. 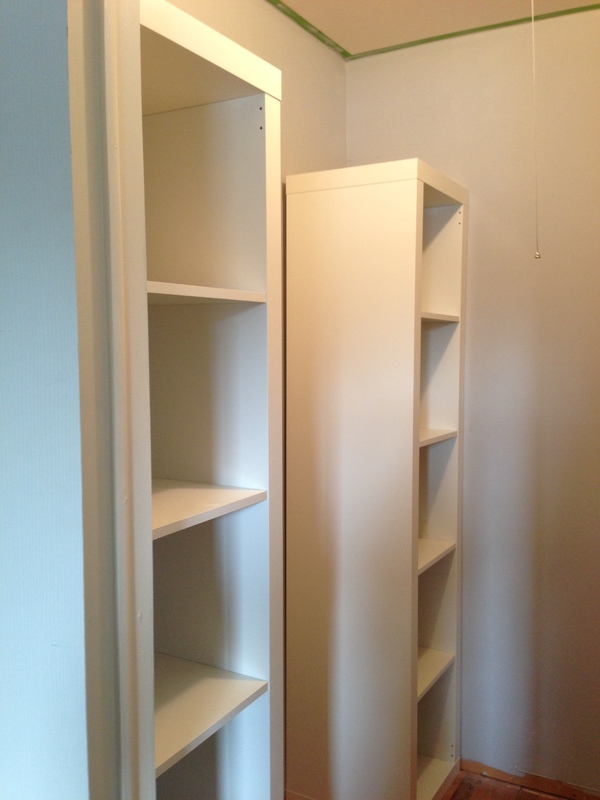 We put the project on hold while we took the time to figure out how exactly we were going to make the inner-workings of the closet come together. 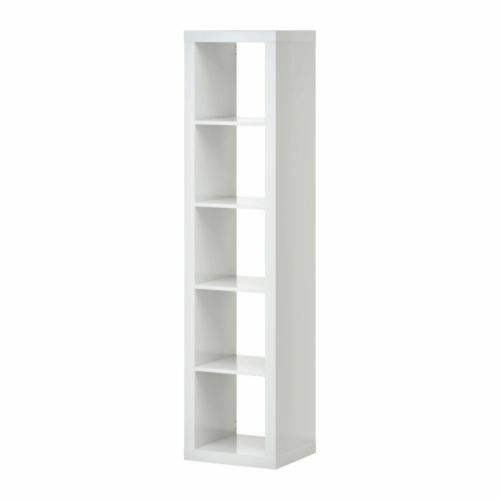 Our love for Ikea’s Expedit series of bookshelves goes way back to our college days when Katie bought one to double as a desk. We love their simplicity, minimalism, affordability, and efficiency. So we bought four 1x5s at $59 a piece but weren’t really sure how this was going to work in the grand scheme of things. As soon as we opened them, Chestnut (of course) decided he needed to help put them together. Once Chestnut and I had 2 of them completed we dragged them into the closet to stage them and see if we were headed in the right direction. Sure, I had a vision but I didn’t really plan for how small our rail would be with the shelves in there. What once spanned 60” would now span 26”. The good news, however, was that we planned on stacking the railings, or in other words having a top and bottom rail on each side of the closet. This would double the short length and give us a total of 52” only 8” shorter than the original railing. 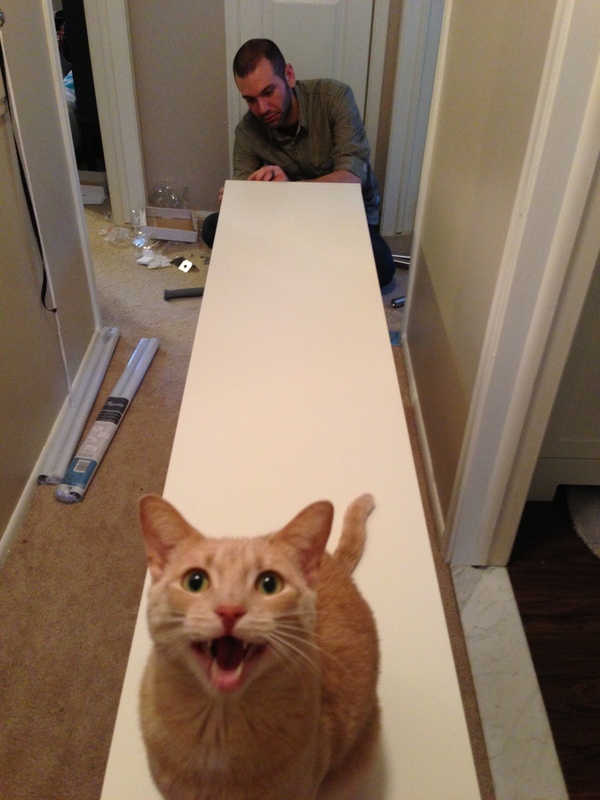 Then came time to install the rails. For these we just bought some cheap, telescoping, painted aluminum rails that were only $7 a piece at Lowes. One installed, things were looking good! All of this reorganizing sort of forced us to reevaluate all of the clothes we had. We created a small donate pile that quickly grew into a large donate pile. We basically only put back the things that we enjoy wearing. After several hours of sorting, organizing, and finding a home for everything, we couldn’t be happier with the end result. I never truly understood the saying that minimizing clutter minimizes stress until now. 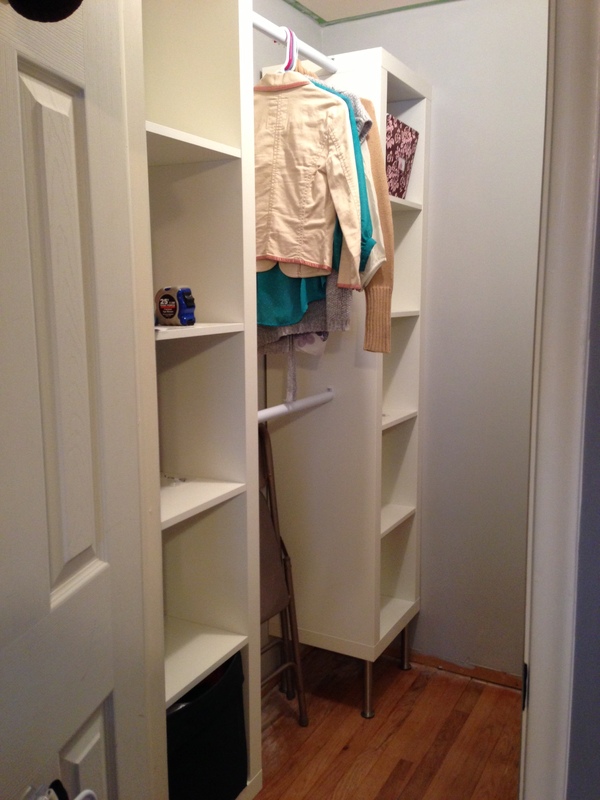 – Waking up every morning knowing exactly where everything is in our closet has made mornings so much easier. How about you guys? Any master bedroom projects?